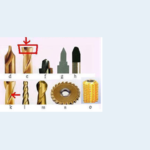 The “Peiping” is a professional manufacturer of tools, cutters, drills grinding machines Drill GrinderTool Grinder-Produced by PEIPING PRECISION and was established in 1980. “Simple to set-up, easy to operate, grinding fast and high accuracy” are our purpose. Our machine had got the Gold Medal Winner at Geneva Invention and have many kinds of patents. The quality of our machines are trustworthy by the customers and enjoy a high reputation in the market. Please send us your enquiry and our sales team will get in touch with you. Grinding Size: Dia.2mm ~ Dia.32mm(straight or taper shank). Grinding Capacity: drills, step drills, NC drills, taps, counter sink drills, end mill lips, round bars. 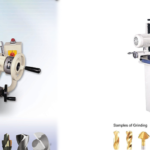 Grinding Capacity: Drills,Step Drills, Counter sink drills, taps, end mills, round bars…etc.